Danielle Jones is a final year BSc (Hons) Nutrition and Health student at Edge Hill University. Her main interests are marketing and its influence on food choice and obesity amongst the early years. 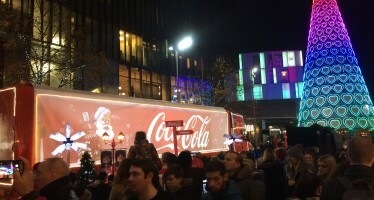 She is currently on a placement with Food Active to support various projects and pieces of research and in this guest blog she discusses an issue she has experienced first-hand – the marketing and promotion of unhealthy food and drink to the student population. Obesity is a multi-faceted problem that has now reached epidemic proportions, impacting on all age groups and regions in England . However, the population that experience the most rapid weight gain are young adults (16-24-year olds) with BMIs increasing through each generation . In addition to this, 39% of the young adult population are now either overweight or obese . This is very worrying due to extensive research reporting how healthy weight during young adulthood can allow for a healthy BMI in later life and a reduced risk of ill health [4,5]. University may be an important life stage for policymakers to consider when looking to prevent overweight and obesity across the life course, as just under half of the people attending start before they reach the age of 30 . Joining university comes with a new sense of independence, a chance to make more friends and having to learn how to fend for yourself – not to mention, feed yourself. Food consumption patterns will undergo a rapid change from the home comforts they are used to. New independence gives students the ability to eat what they want, when they want, where the want. Furthermore, many students embarking on university may not feel confident with their cooking skills – instead relying on foods that are ready after a simple ping of the microwave . Another important factor to consider is the cost, given many student’s diets are dictated by value for money rather than quality , particularly as the cost of student accommodation, food and utilities are continues to rise . The concern is that these purchasing factors typically align themselves to less healthy food and drink choices. Convenience foods purchased from supermarkets, fast food outlets or takeaways are typically highly processed, dense in calories (energy) and void of any other nutritional benefit. In addition, there is research to suggest foods high in fat, sugar and salt (HFSS) are more likely to be subject to promotional activity than healthier options and placed at strategic areas within supermarkets that are likely to drive sales. However, the idea that student diets are unhealthy is not revolutionary – there is an extensive body of research to confirm it. Convenience and cost are arguably the two most important factors in student’s food consumption patterns – and this has not gone unnoticed by marketing agencies of the food and drink sector. Marketing HFSS food and drink products has become a staple marketing technique for many large food and drink companies, such as McDonalds and KFC. These student-only offers include ‘20% discount on food with student I.D’, ‘Get a free cheeseburger with every meal’ or ‘student combo meals’, presenting foods that are quick, tasty and cheap – meeting the criteria for any student’s cash-strapped budget in one go. As a student myself, I personally find it hard to steer away from these discounts as price is a very important factor for me and sometimes it is easy to forget about the nutritional status of the food and the impact it may be having on my body. Independent outlets can also offer discounts in store, whilst chains also have relationships with student websites such as UNIDAYS, Student Beans and TOTUM by NUS to advertise their products and entice students with their deals on HFSS food and drink [9,10,11]. 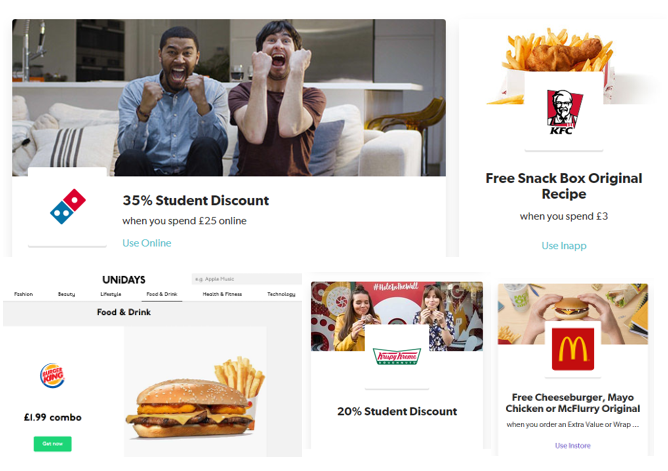 Some examples of the offers available on these websites include 20% off at Pizza Hut, 30% off at Ed’s Easy Diner, 20% off Krispy Kreme Doughnuts, free McDonalds cheeseburger, chicken mayo or McFlurry when you buy a value meal, free KFC ‘snack box’ (fried chicken and fries) when you spend £3 and £1.99 for a Burger King Combo meal – see below for examples that can be found online. For example, the Burger King Combo meal (as pictured above) consists of 840 calories, 14g Saturated Fat and 1890mg of sodium – this equates to around a 33% of men’s and 42% of women’s RNI for calories, over half of saturated fat and exceeds the RNI for sodium by 290mg. These figures may not be of concern when consumed infrequently – however, with one in six UK University students consume fast food twice a day – we know for many students, these types of deals and foods may be a regular staple in their diet . We know that regular consumption of fast foods can have negative implications on our health – one research study found that consuming fast food more than once a week increases the risk of obesity by 129%, not to mention links to other non-communicable diseases such as type 2 diabetes, cardiovascular disease and various non-communicable diseases [13, 5]. These websites are not the only way the industry market these student-only deals – there are some days where I am inundated with constant marketing at freshers’ fares with an absurd amount of Dominoes discount and constantly having leaflets at student accommodation. The stark number of deals offering HFSS products is concerning and begs the question whether junk food marketing to students is contributing to an unhealthy eating culture in a population group that is already renowned for poor lifestyle behaviours. At present, the Government are consulting on a range of measures to improve the food environment as part of their childhood obesity strategy . Although many of the measures are targeted at reducing obesity in childhood, many will impact other population groups – including students. For example, a consultation on a 9pm watershed on junk food marketing and similar restrictions online would reduce student’s exposure to cues to consume unhealthy food and drink. Other measures for consideration are a ban on price and placement promotions on HFSS food and drink products; introducing mandatory calorie labelling in the out of home sector; and banning unlimited refills on sugary drinks. Whilst it is not clear yet which measures will be formally introduced in the UK, these are promising moves that could help to improve student’s food environment and make healthier choices more accessible. Tackling the obesity crisis will require a wide range of measures and involvement from all different sectors – Universities also have a responsibility for their student’s health. For example, at Edge Hill University we have a campus cookbook. This is where Nutrition and Health Students will visit first year accommodation and teach them how to cook a freshly prepared meal. This is beneficial to students as they are not just learning new cooking skills but also getting a meal for free! Universities could also reconsider any relationships they have with brands that promote HFSS products, restrict their presence at any University-controlled events, such as freshers’ fairs, and support their students by creating a campus that promotes healthy choices and active lifestyles. Agha, M. and Agha, R., 2017. The rising prevalence of obesity: part A: impact on public health. International Journal of Surgery. Oncology. 2(17), pp. 1-6. Available from: https://www.ncbi.nlm.nih.gov/pmc/articles/PMC5673154/ [Accessed 19th November 2018]. Allman-Farinelli, M. A., 2015. Nutrition Promotion to Prevent Obesity in Young Adults. 3, pp. 809-821. Available from: https://www.ncbi.nlm.nih.gov/pubmed/27417798 [Accessed 19th November 2018]. National Statistics, 2018. Statistics on Obesity, Physical Activity and Diet – England, 2018 [PAS] [online]. Available from: https://digital.nhs.uk/data-and-information/publications/statistical/statistics-on-obesity-physical-activity-and-diet/statistics-on-obesity-physical-activity-and-diet-england-2018 [Accessed 23rd November 2018]. Votruba, S. B., Thearle, M. S., Piaggi, P et al., 2014. Weight maintenance from young adult weight predicts better health outcomes. Obesity Biology and Integrated Physiology. pp. 2361-2369. Available from: https://onlinelibrary.wiley.com/doi/full/10.1002/oby.20854 [Accessed 23rd November 2018]. Jaworowska, A., Blackham, T., Davies. I. G. et al., 2013. 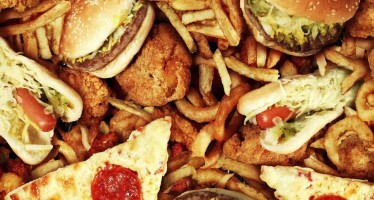 Nutritional challenges and health implications of takeaway and fast food. Nutrition Reviews. 71(5), pp. 310-318. Available from: https://academic.oup.com/nutritionreviews/article/71/5/310/2460221 [Accessed 23rd November 2018]. The Guardian, 2017. Almost half of all young people in England go on to higher education [online]. Available from: https://www.theguardian.com/education/2017/sep/28/almost-half-of-all-young-people-in-england-go-on-to-higher-education [Accessed 19th November 2018]. Goffe, L., Rushton, S., White, M. et al., 2017. Relationship between mean daily energy intake and frequency of consumption of out-of-home meals in the UK National Diet and Nutrition Survey. International Journal of Behavioural Nutrition and Physical Activity [online]. 14(131), pp. 1-11. Available from: https://www.ncbi.nlm.nih.gov/pmc/articles/PMC5610411/#CR16 [Accessed 19th November 2018]. The Guardian, 2016. Cost of British student housing has risen by a quarter in seven years [online]. Available from: https://www.theguardian.com/education/2016/oct/26/cost-of-british-student-housing-has-risen-by-a-quarter-in-seven-years [Accessed 26th November 2018]. UNIDAYS, 2018.Food & Drink [online]. Available from: https://www.myunidays.com/GB/en-GB/category/all-food [Accessed 19th November 2018]. NUS, 2018. Eating Out [online]. Available from: https://www.nus.org.uk/en/nus-extra/discounts/?cat=683 [Accessed 19th November 2018]. STUDENT BEANS, 2018. 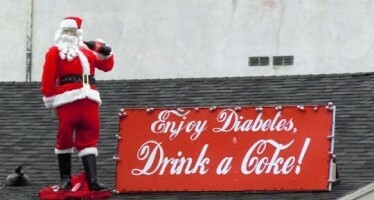 Food & Drink [online]. Available from: https://www.studentbeans.com/student-discount/uk/cats/food-drink [Accessed 19th November 2018]. BBC News, 2016. One in six young people eat fast food ‘twice a day’ [online]. Available from: https://www.bbc.co.uk/news/health-37511554 [Accessed 23rd November 2018]. Schroder, H. Fito, M., Covas, M. I. et al., 2007. Association of fast food consumption with energy intake, diet quality, body mass index and the risk of obesity in a representative Mediterranean population. British Journal of Nutrition [online]. 98(6), pp. 1274-1280. Available from: https://www.cambridge.org/core/journals/british-journal-of-nutrition/article/association-of-fast-food-consumption-with-energy-intake-diet-quality-body-mass-index-and-the-risk-of-obesity-in-a-representative-mediterranean-population/3A249F528899575C8FFB7C1CEA461706 [Accessed 19th November 2018]. Keep up to date with the latest from Food Active with our monthly bulletins, you can find November’s edition here.